Everything from too much salt on your filet mignon, to running out of sunscreen during your winter getaway at a Jamaican resort. There can definitely be a few serious issues, such as pushy parents and over-the-top coaches. However, when it comes to the kids themselves, most minor hockey complaints tend to be... yes, pretty minor. Last Saturday's house league schedule, for instance, featured a couple of young players beefing about concerns that really weren't too big of a deal. First up, a lad from the Tyke team I help coach, who broke down in tears just before the opening off—all because he had to play defence. "But I don't want to play defence!," he wailed. "We're playing the best team in the league. You need me to score goals!" I didn't want to burst the little guy's balloon, so I decided not to mention the fact that we actually have another player on our squad who's usually good for four or five goals a game. And while you've got to admire self-confidence, the fact is everyone's got to take their turn on the blue line. 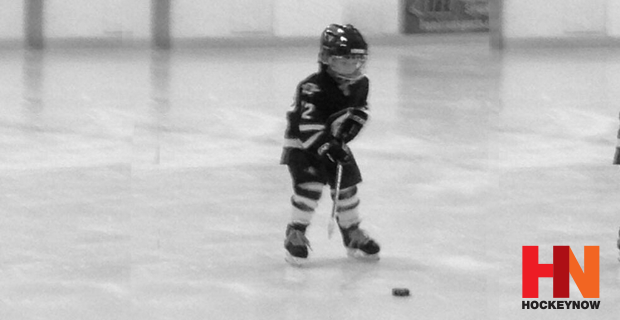 At the house league level, and especially at a young age, it's important for kids to learn every position on the ice. Unfortunately though, most youngsters get a kick out of channeling their inner Sidney Crosby and everyone wants to line up at center. In this case, our guy was stubborn as a mule and wouldn't let it go—even wandering over to another coach to plead his anti-defence case. "Listen," I said, eventually losing my patience. "It's pretty simple, either you play defence or you go back to the dressing room and take your gear off." Yup, that did the trick as the little guy grumbled a bit before finally hitting the ice, and promptly scored three goals. "I like playing defence!," he beamed. Sure, he didn't exactly play great 'd', constantly jumping up to join the rush. But, hey! We ended up winning; the young guy has lots of time to learn defensive fundamentals; and at least he wasn't blubbering on the bench anymore. Later in the day, the Atom team I coach also saw action. Like the Tykes, we ended up winning but one of our players was upset about a penalty call he didn't think he deserved. After the game, he stormed down the hall and BOOM!, gave the dressing room door a big kick. "Hey!," I shouted. "I don't make enough money to pay for dressing room doors." That didn't seem to calm my guy down, so I tried again. "Look," I reasoned. "Coaches make mistakes; players make mistakes; and the refs are gonna mess up too." Fortunately, that seemed to do the trick and the little guy started to relax. Being asked to play defence, and disagreeing with a referee's call in a game you actually won. Not exactly huge issues. But as volunteer coaches, we're expected to try and solve problems, big and small. Sure, the pay isn't great.